It's the month of love, and with that said I wanted to let you know just how much you all mean to me and how grateful I am to have you here with me sharing in my journey. I have said it before, and will say it again: I would not be where I am today if it wasn't for your support. And for that, I say THANK YOU! If I had a million dollars (so the song goes), I could afford doing weekly giveaways, but I still hope you've enjoyed the giveaways I have brought you so far! I wanted to get something extra special, and when I saw these items and how lovely they were (especially for the warmer months coming up), I just knew I had to give them away! 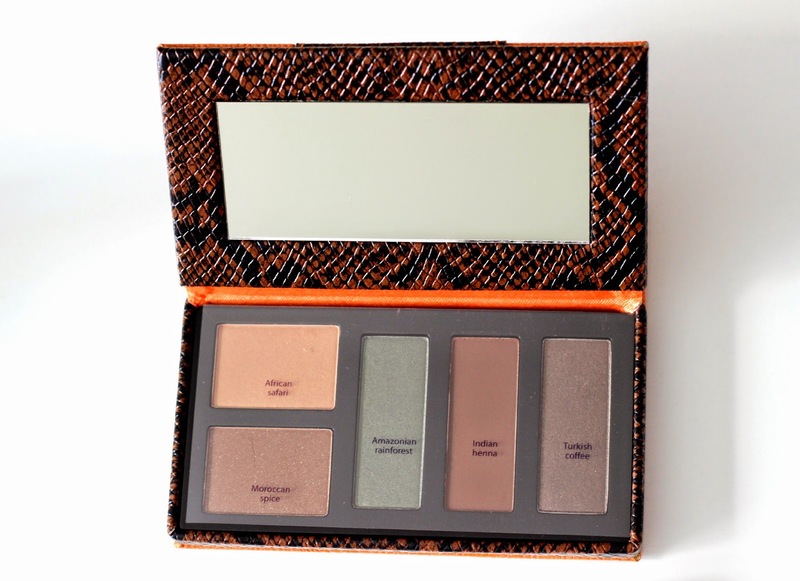 The first prize is this Tarte Quintessentially Travel Chic Shadow Palette. It contains 5 earth-toned shades that I think will look gorgeous on any skin tone: African safari (taupe), Morroccan spice (copper), Amazonian rainforest (plush green), Indian henna (brown) and Turkish coffee (charcoal). And obviously it's the perfect palette to bring on vacation: it's compact, has a large mirror, and the colors are simply stunning and can be used to create both day and night looks. 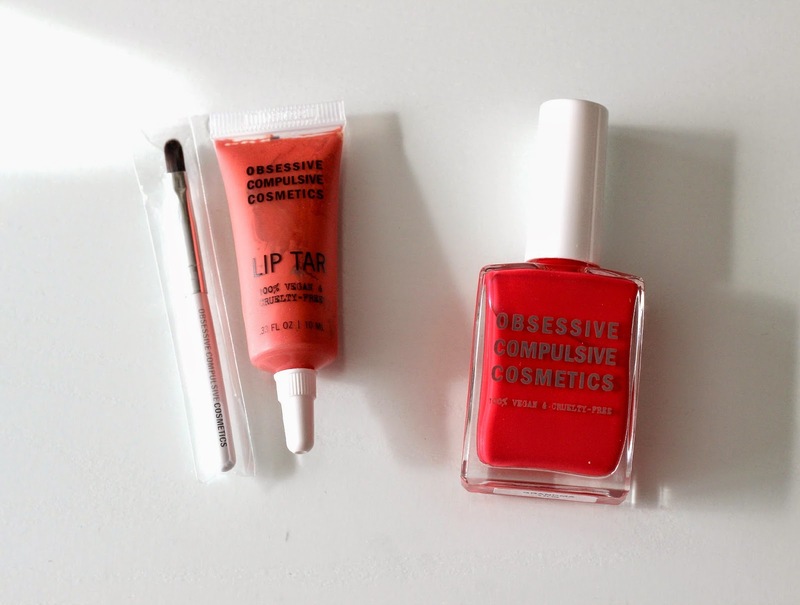 The second prize is this Obsessive Compulsive Cosmetics Lip Tar & Nail Lacquer Duo in the shade Grandma (yes you read that correctly). The Lip Tar is a beautiful matte classic coral, while the Nail Lacquer is a gorgeous opaque, almost neon pink which I know will look fabulous on tanned skin (which I am longing for as I am at my palest right now). Oh summer, come faster please! 4. Leave your email address so I can contact you if you win! Please use the form below to complete all entries. Once you've completed all mandatory entries, more will be unlocked allowing you to increase your chances of winning. This giveaway is international and will run for one month. One winner will be chosen at random. Good luck beauties! I've never try any of these products before..but i really love the shade of grandma.. I've tried the OCC Lip Tars before but not the Tarte Cosmetics...that palette looks so pretty! never tried but really hope i win! Fingers crossed! I have not tried any of these before. I've tried Tarte Cosmetics Light, Camera, LASHES Mascara, but nothing from OCC Cosmetics as of yet. I haven't tried either of these brands before but am intrigued by the Lip Tar! The Tarte set is insanely gorgeous! :) Thank you so much for this giveaway! I have not tried anything from either of these brands but I would love to. Thanks for this opportunity. I've never tried these products. I've never tried these product brands either. No I have not tried either of the brands. I've been occ for a while though. I've never try this brand, but I love to try. I haven't tried either of the brands but I do want to try them both! especially Tarte! I have never tried these brands before but i'm really excited to!!! i have never tries these brand wishing to try it someday. I'm a big fan of Tarte - especially their Gifted Mascara, but I haven't tried anything from OCC yet. I haven't tried anything from either of these brands before. I may have entered my name wrong for one of the entries (Bloglovin'). No, but i would love to ! No, I haven't tried any Of this brand But I would love to! Nope, but I heard good things about them. Tarte is pretty much a ride or die forever favorite for me, recently, and I wish I owned more OCC. I only have one lip tar, but I love it. No I haven't tried this brand. I've only tried the Tarte brand ... but it is the 12 hour blush! I never tried these products, but have heard many good reviews about them. I have never tried any of these cosmetics and they're both on my most wanted list! I love Tarte! One of my favourite brands. I have one of their eyeshadow palettes and use it all the time. Thank you for the opportunity to try these other amazing products, especially the OCC lip tar! I love OCC lip tars- they are so colorful and intense.. a little bit goes a long way. No, I've never tried anything from these brands but I've heard only good things about Tarte - especially on their eyeshadow palettes !!! No I haven't but would love to! I haven't tried anything from any of the brands, but Tarte has been on my dying to try list!! I hear amazing things about all of these brands! I have not yet product these brand. I have´t tried anything by these brands because here, in Slovakia, they are not avaliable in drugstores :) but I would be really glad if I had a chance to try them. I like the color of the nail lacquer and lip tar! :) It´s amazing that the lipstick is vegan and cruelty free! Thank you very much for this amazing giveaway. 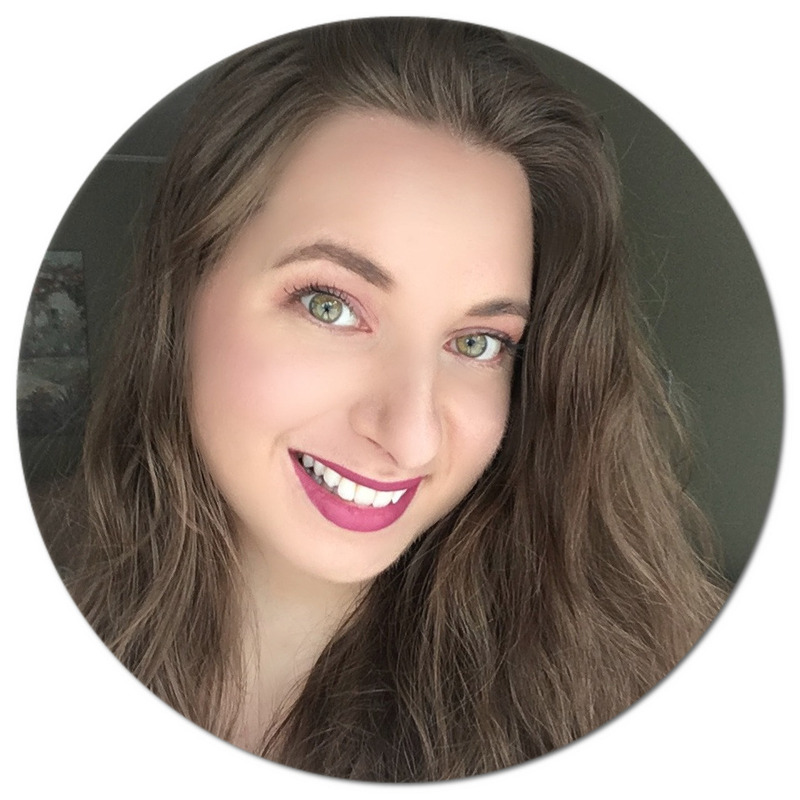 I have tried Tarte's lights, camera, splashes™ waterproof mascara. It is wonderful...expensive, but wonderful! I've never tried any of the other brands shown here. though. I haven't tried these brands, but I have been wanting to try Tarte for a long while, and have heard nothing but good things! I have not yet tried any of these products but I'm excited to give them a try! I used to have a tin of Tarte lip stain many years ago, I think! But I'd love to try their current stuff. No, never! I'm so curious...! No he probado nada de estos antes, me encantaría!! I've not tried them yet, but look forward to it! No, I haven't, but I'd really love to! Thanks for the giveaway! No I haven't but really want to! I havent tried any of them yet and the Tarte Quintessentially Travel Chic Shadow Palette.looks fantastic with the lovely colours. hi! never tried any of those .... yet? No, I never used these brands, but wanted to try! Thanks for giveaway!! !